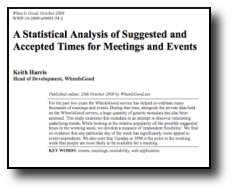 WhenIsGood is in the news. 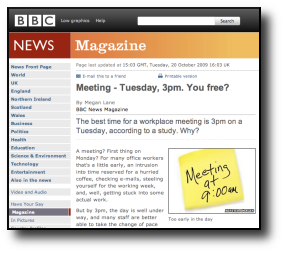 The BBC and Lifehacker have both covererd a piece of research that we've just published. 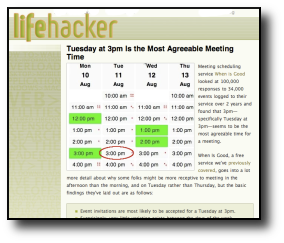 Tuesday at 3PM might be the best time to suggest for your next meeting. People tend to be more flexible in the afternoons than the mornings. Respondents seem to be happier than you might expect to work through their lunch break. For more information, the full white paper can be downloaded here.